Is It Possible To Find Joy In Your Calling? A college student wants to know if I’ve always been sure about doing what God has called me to do. And the answer is Yes – I’ve always been pretty clear about my call, even though my work has changed many times. Our work can change even while our call remains the same. Hi, this is Dan Miller – and yes you’re listening to the 48 Days Radio show – where each week we take 48 minutes to dive into real life questions about finding your passion, deciding what kind of life you want to live – and then finding or creating work that allows you to show up every day, excited to be able to do something that is meaningful, fulfilling – and profitable.This is where normal, indecision and ambiguity come to die.Welcome to the 48 Days Radio Show. 1. Did you ever have doubts about what God’s plan for your life was? 3. How do you personally NOT “separate your work and worship,” as stated in the book? 5. What do I do when everything that I am ‘good’ at is not anything that I can make a decent living off of? 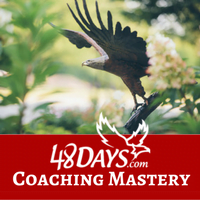 • How do I track my goals? Have you found a way to express your greatest joy? Join us on our Acres of Diamonds Cruise. If you’re interested in being one of our speakers on the cruise, we’ve added speaker guidelines and an application on that page. • Find out more about the 48 Days Book Publishing service. 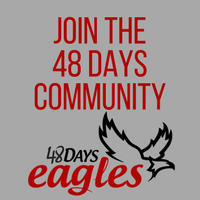 • We have a ton of resources for authors and writers in the 48 Days Eagles Community, including publishers, editors, graphic designers, and fellow authors. Check it out here. 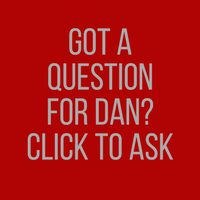 Hear more from Dan on why 48 Days. Would you be surprised to hear it’s not based on a scientific process? 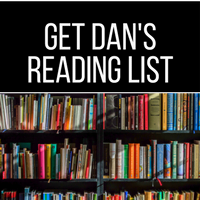 Get your Goal Setting Workbook for 2019 here. 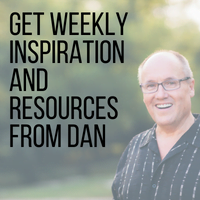 Hear more from Dan on distinguishing between your calling, your vocation, your career and your job in his blog: I’m being forced out of my calling.